Whip up this easy smoothie for a healthy breakfast or snack. With no added sugar and a dose of protein from hemp seeds, this is as healthy as smoothies come!
. It used to live in one of the cupboards, but once my boys started pulling it out almost every night to make a smoothie, it earned a place of honor on the counter. 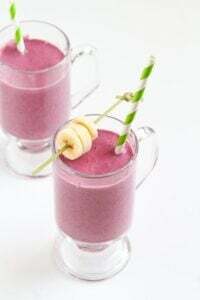 Besides the fact that smoothies make for healthy snacks or breakfasts, there is one main reason that there are so popular with my two boys, particularly the older one (M). When M first started training for his first half-marathon two summers ago, he decided he was going to be “just like Dad”, which meant that he wanted to cut out added sugar from his diet, and he instantly shunned all desserts and sodas. His friends looked at him as if he was crazy when he first told them and we let him know that he really didn’t need to cut out all desserts, but he was bound and determined to do everything right in his training. After a couple of months of his self-imposed sugar ban, he experienced something that I wished would happen to me when it comes to chips and other unhealthy snack foods…he completely lost any craving for sweets. After the half-marathon, we offered to take him for an ice cream cone. Nope, not interested. And now, more than a year and a half later, he still hasn’t touched a dessert of any kind. And truthfully, he’s not even interested in them. Maybe that will change in the next year but, for now, that’s his story and he’s sticking to it! Instead, his treat at the end of the day is a smoothie of some kind. He has experimented with tropical fruits and vegetables in his smoothies, but he keeps coming back to a good ol’ classic, berries and bananas. Since the bananas add a good dose of natural sweetness, it wasn’t necessary to add any honey, agave nectar or maple syrup to the smoothie. The hemps seeds are optional, but add a great dose of protein, omega fatty acids, fiber, antioxidants and minerals. 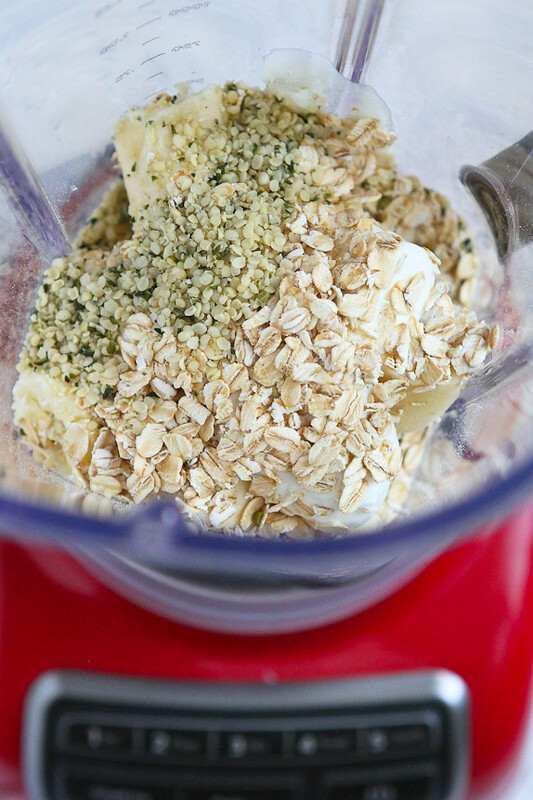 If you like to kick off your day with a smoothie, adding the hemp seeds (and yogurt) will help to keep you full longer, thanks to the extra protein. So, M…this one’s for you. In a blender, combine all of the ingredients. Process until smooth. Serve. Oh Dara, I LOVE this smoothie! Hemp seeds are packed with protein so this is perfect right after a workout. I love that you didn’t add any sugar too! This smoothie looks lovely and must taste delicious. It has nice colour, encourages to drink it 🙂 It’s healthy and nutrient meals. Ideał for me. Thank you for inspiration! I’ve been loving using hemp seeds lately in smoothies as well! This is so pretty! What a delicious smoothie. I love how important the blender for you in the kitchen! I think it’s so great that you and your husband have inspired your kids to live a healthy life style. This smoothie looks great – I’ve never added hemp seeds to a smoothie before. I would LOVE to have his dedication…I can’t imagine cutting out sweets entirely but I should wish I could. This smoothie looks delicious and I could imagine this would be helpful in my quest to squash my sweet cravings. What an awesome thing to prefer the sweetness of fruit and berries over sugary desserts (I wish I could lose my craving for them). 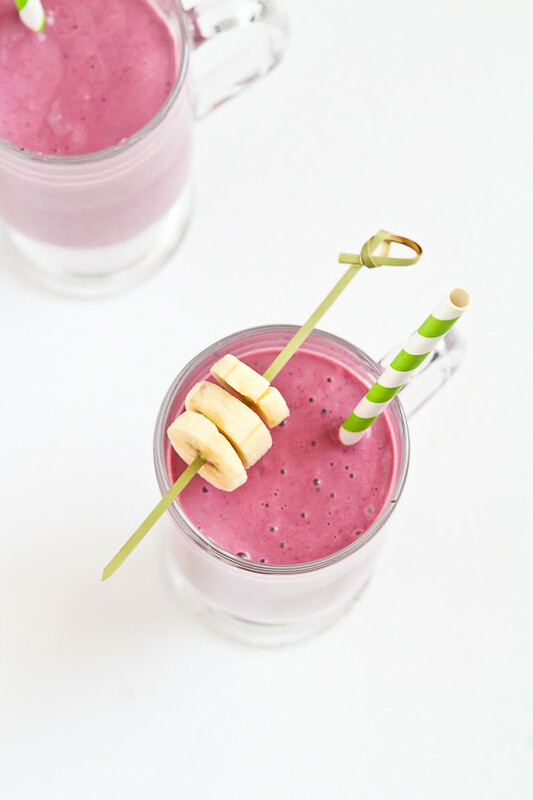 This smoothie sounds like the perfect start to a busy day! Wow that’s impressive and good for M for sticking in what he believes in. Now I wish I could manage to get off sugar (even for a short while)! 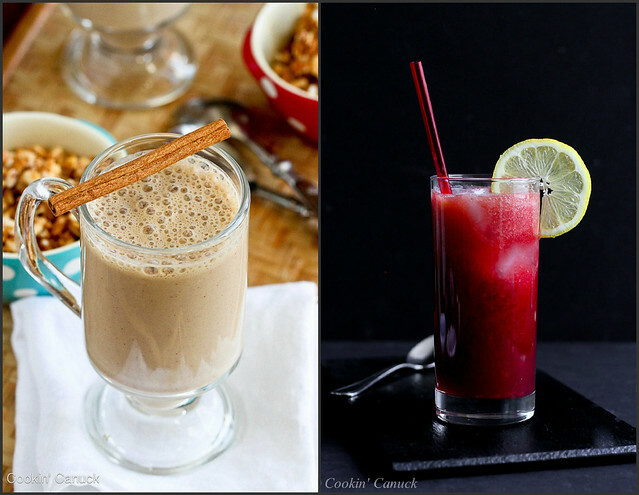 Smoothies definitely sound like a good dessert replacement. I love the color of this one too, so pretty! How wonderful that your son has an early interest in fitness and nutrition. This smoothie looks wonderful. I think I need to make one for myself right away! Don’t you just love it when you realize an appliance or kitchen tool you HAD to have…then tucked away…becomes a indispensable? The smoothie looks delicious…I’ve never eaten hemp…anything before! I’m the type of person who wouldn’t live without smoothies. I wouldn’t get any sort of fruits in my diet because I don’t prefer eating them. Honestly, I’m not fond of their textures. I found your smoothie recipe exceptionally delightful. This page is amazing with all these great tips and tasty smoothies. I’m continuously experimenting with all kinds of fruits. Your recipe is one of those smoothie recipes, which I found that is exceptionally great for people who wish to get in their regular serving of fruits.